​The Directory is assembled and published at the end of every even year (ex: 2016, 2018, 2020). Advertising in the Directory is also the only way to get a web banner on our web page....see above. 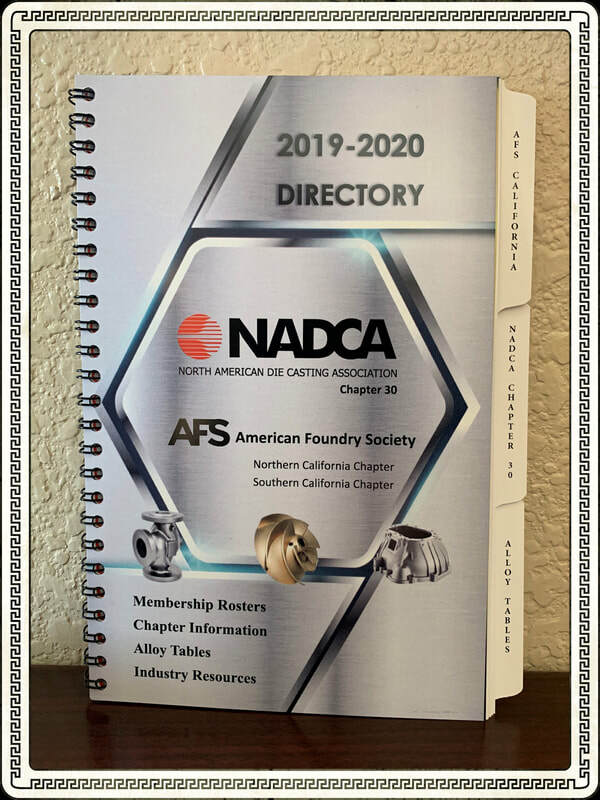 The 100-page publication is provided to all members of NADCA Chapter 30 and AFS Southern and Northern California (approximately 450). The Directory includes contact information of all members of both organizations, alloy data tables, award recipients and board members. If you have any questions, or would like to request a copy, please contact us.